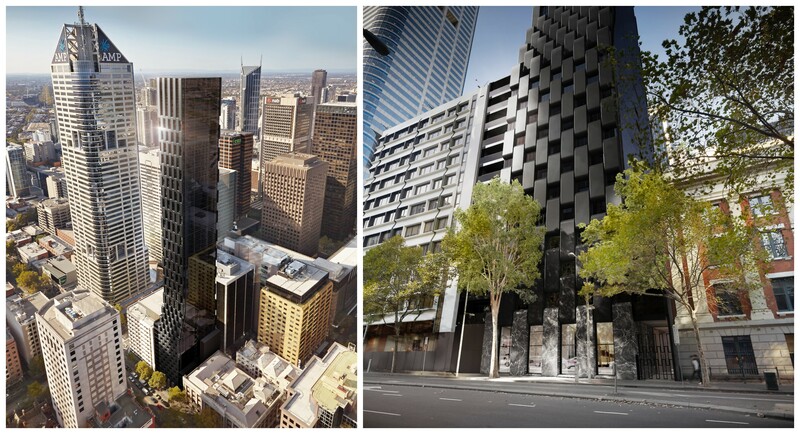 … Harry Triguboff has joined the ranks of other developers forging into Melbourne having purchased a tiny 792 M2 site to construct a 57 storey tower. Triguboff has 4500 serviced apartments and another 3700 units that are being rented out … that combined number should reach 10000 this year. IF only he would focus his attention on Melbourne and give Sydney a miss! Meriton has purchased a development site in Melbourne’s CBD, marking its first venture into the Melbourne market since Harry Triguboff, Australia’s wealthiest real-estate developer, founded the company almost six decades ago. The Meriton chief ranked third in The Australian’s list of the nation’s richest with an estimated $12.3 billion empire. … no doubt he could GOOGLE for market Spin from developers with the same end goal as the local mob here. ASK what is in it for them? HOW thoughtful of the developer collective … it would have nothing to do with collecting even more $$ from their projects by leasing all inclusive Childcare, the market, eateries and business premises too? WHAT of the downside to mixed-use development is the waste from the butcher, the fish monger, the fruit market, the child care … upon the liveability and comfort of the residents? Strathcona Village in Vancouver, Canada, Image by BVGlazing Systems. The spirited corporate response from the Greater Sydney Commission troika of Turnbull, Roberts and Hill is a single issue support for industrial jobs at a time when the nature of work is changing dramatically around the world. The GSC support for their document “A Metropolis that Works” that freezes industrial land across metropolitan Sydney cites global examples that they say support their position. We are not talking about concrete batching plants here. Clearly some very noisy uses need special zoning but the NSW government’s own definition of Light Industrial is only about a use “that does not interfere with the amenity of the neighbourhood by reason of noise, vibration, smell…” Only a few years ago cafes and restaurants were seen as incompatible with residential but now planners require these active uses to be included. The rest of the world is moving to mixed-use precincts. 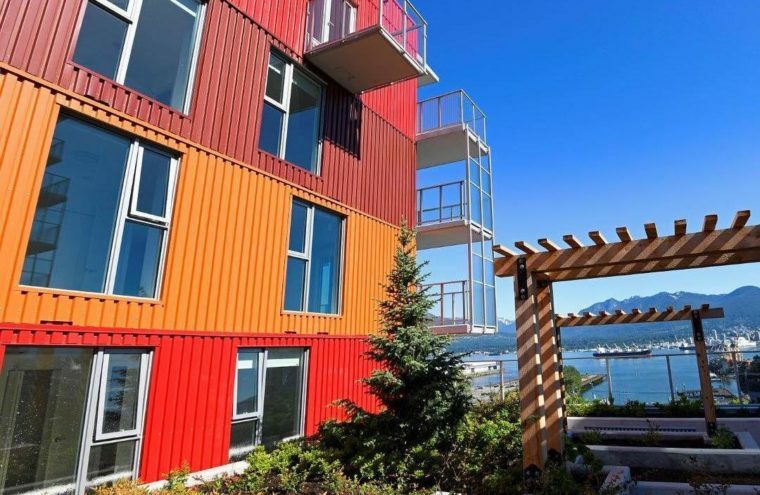 Portland, New York, Baltimore, Atlanta, and Vancouver are championing a new type of urban environment where uses are mixed and in Australia, Melbourne with its new Commercial 3 zone and its mixed-use zoning at Fishermans Bend, is joining the new directions. Even the normally staid city of Adelaide has put out a guide to “mixed use development” where jobs and residential uses are mixed. So why would the Greater Sydney Commission go back to the era before Jane Jacobs attacked single use zoning as the “death” of great American cities. My reading of what the GSC is doing is supporting the pre election “over development” hype that has evolved in the lead up to the recent state election. It appears that the GSC thinks residential development in Greater Sydney is out of control and must be slowed down. Just look at the GSC comments in their Assurance Review of planning in Ryde where they were shocked by the amount of housing development at 1500 new homes a year being built, but this is exactly what the same GSC has targeted for Ryde. I think the GSC has become anti-housing in the belief that the housing industry will look after itself and therefore the GSC has defaulted to protecting jobs. CAAN: SMH Photo: The scene at Chinese-based Greenland Lachlan’s Line Macquarie Park (Ryde) following the collapse of scaffolding that killed an 18 year old apprentice and critically injured another worker. CAAN: SMH Photo: indicative of the massive size and impact of this Precinct! The likes of which belong in China to house 1.4 Billion people. Why are they being constructed here if not to fill developer coffers through Visa Manipulation? CAAN has numerous photos of the overdevelopment across Ryde in its photo album. Macquarie Park has lost many commercial premises and jobs to high-rise residential; it was developed as a Business and IT Park! CJ: Planning of cities is a complex series of trade offs to balance where people want to live (generally inner ring suburbs) and where jobs are and how to get infrastructure on board. More recently the NSW government and the GSC have become focused on trees, parks and local character but my reading of all the promotional documents is that this is an endorsement of the suburbs. The discussion paper on local character does at least confront the issue of building height but it proposes nothing over three storeys. CAAN: Due to Sydney-wide objections from communities since 2012 (and earlier) has the GSC finally acknowledged that the community value trees, parks and local character? Evidence has been produced that these assets are necessary for our wellbeing! CJ: It seems that the GSC troika supports a low rise suburban Sydney with separated zones for different uses. This is old Sydney and they are missing the energy of the night time economy, about Millennials living in dynamic mixed use precincts and the bustling character of a London or a New York. The GSC should also support the new Sydney where already a third of homes are apartments and high rise living is a positive and more people walk to work, shared amenities and public transport. The GSC should be about the future. CAAN: Does this mean that everyone has to move out to make way for Millennials? How credible is that when there are 2.2 MILLION VISA HOLDERS IN AUSTRALIA of which 1.6 MILLION are Visa workers and no doubt the majority of them are residing in Sydney and Melbourne? And many gain ‘Permanent Residency’ after investing in our real estate! CJ: An example of the future is the Strathcona Village project in Vancouver. Here is a dynamic complex that has 5574 square metres of light industrial uses with 280 market apartments above this and 70 social housing units. The East Village project at Victoria Park in Zetland has 32,000 square metres of industrial and commercial space with a sky park surrounded by 206 new apartments above the work areas. Unfortunately, there is little chance of projects like this happening under the GSC’s ideology. CAAN: Why is CJ comparing Sydney with Vancouver? Vancouver has a population of 2,555,884 … half that of Sydney! Chris Johnson is the chief executive officer of Urban Taskforce. Yes to mixed uses; living, working, eating/drinking, shopping, green spaces, recreation. The old zonings are from another time and context. Making this move does not open a door to over development. Those doors are already open as ‘one size fits’ all centrally decided ‘rules’ are put in place and then politicians scramble when the negative local community impacts begin to appear. Note where they have invested … and avoid handing over your $$ to them! When it comes to the Australia’s wealthiest, property is king. The List: Australia’s Richest 250, published by The Weekend Australian, has chronicled the nation’s wealthiest citizens, including 96 billionaires, 15 aged 40 and under and an average wealth of $1.27 billion across the $320 billion worth of combined wealth. Topping this year’s list is Visy executive chairman and owner of Pratt Industries, Anthony Pratt, who boasts a fortune of $13.14 billion, made largely from producing boxes and packaging material. The only woman to make the top 10, Gina Rinehart, took second position with a net worth of $13.12 billion, followed by Meriton’s 86-year-old owner and managing director Harry Triguboff, who has amassed a $12.31 billion property empire which now dots the Sydney, Brisbane and Gold Coast skylines. Property dominates The List, with 68 rich-listers deriving their wealth from industries such as transport and mining, before diversifying into residential and commercial property investments. 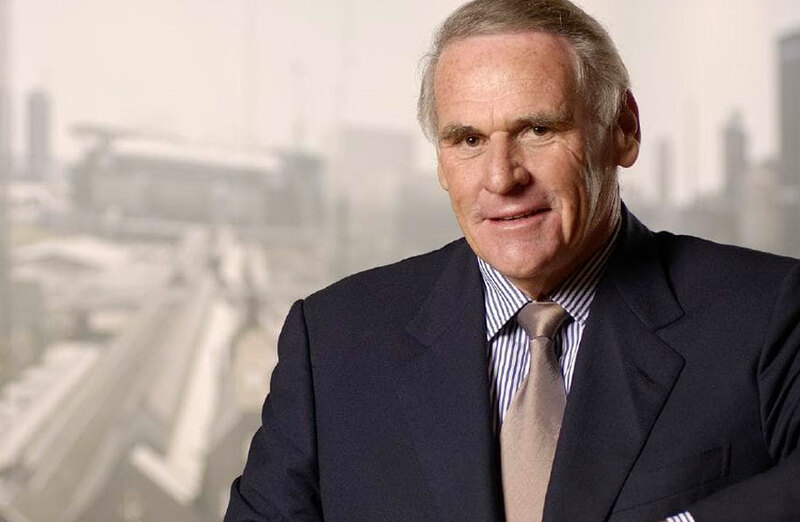 Take a look at the ten highest ranking property moguls from this year’s list. Meriton chief Harry Triguboff has become known for his bullish approach towards Sydney and south-east Queensland, building over 75,000 residential townhouses and apartments since Meriton was formed in 1963. The company has gone on to become one of the biggest hotel and serviced apartment operators in the country. 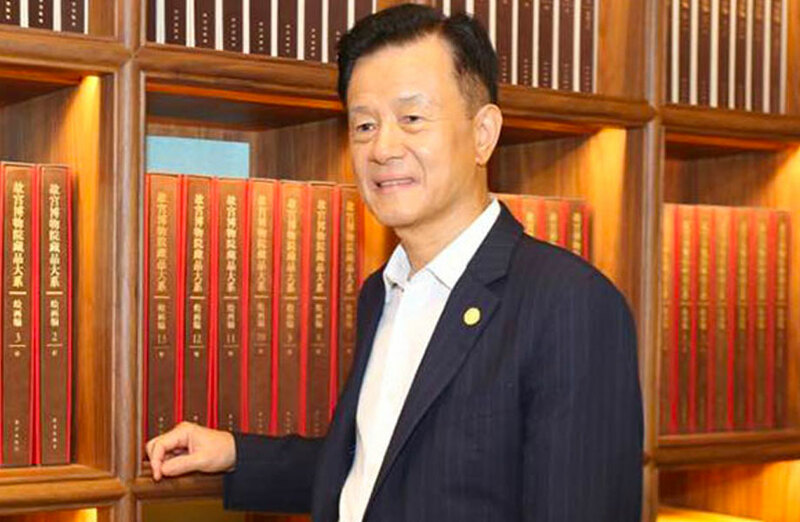 Chairman of Hong Kong Stock Exchange-listed Shimao Property Hui Wing Mau is known for residential, commercial and hotel projects throughout China. 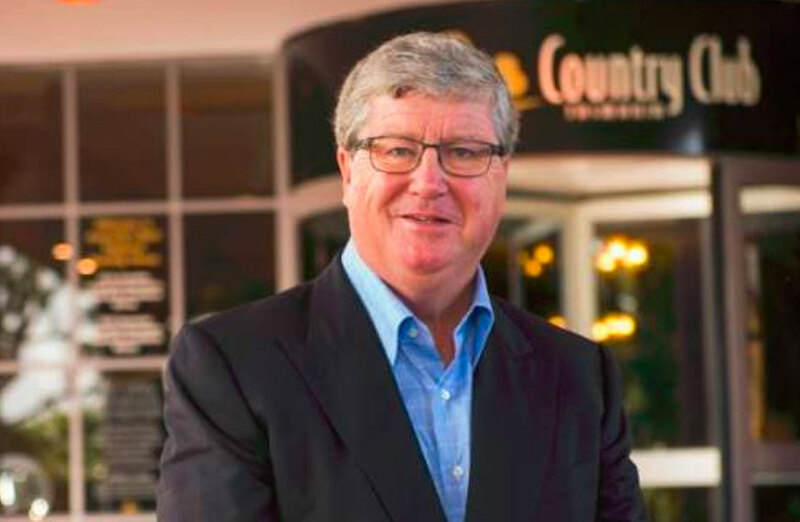 His Australian assets include office towers in Sydney’s CBD, a majority stake in the NSW meat processor Bindaree Beef Group, and 45,000 head of cattle bought from fellow rich-lister Harold Mitchell for $70 million in 2017. 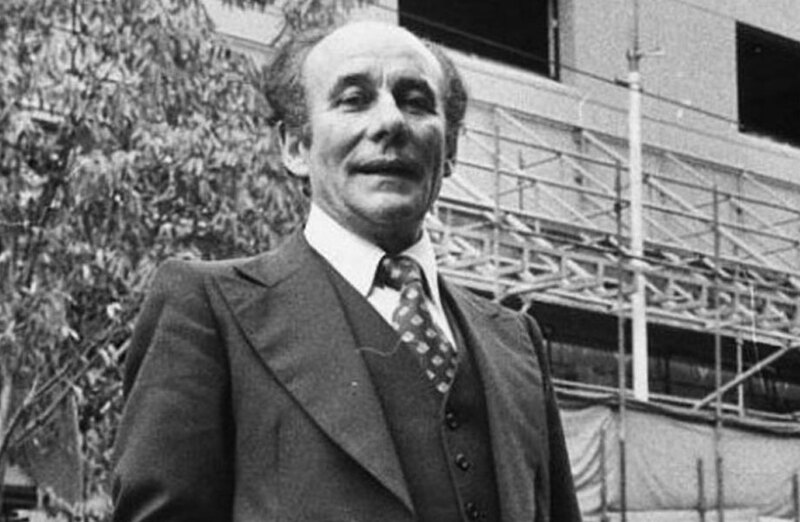 John Gandel built his wealth through the sale of a share in clothing group Sussan in the 1980s. 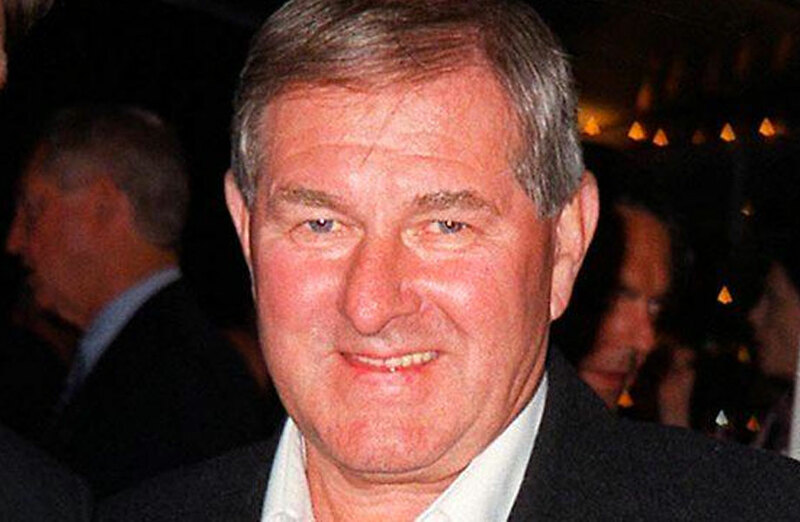 He joined his parents company as a teenager and bought Chadstone shopping centre from Myer Emporium in 1983. The centre’s valuation hit the $6 billion mark earlier this year. 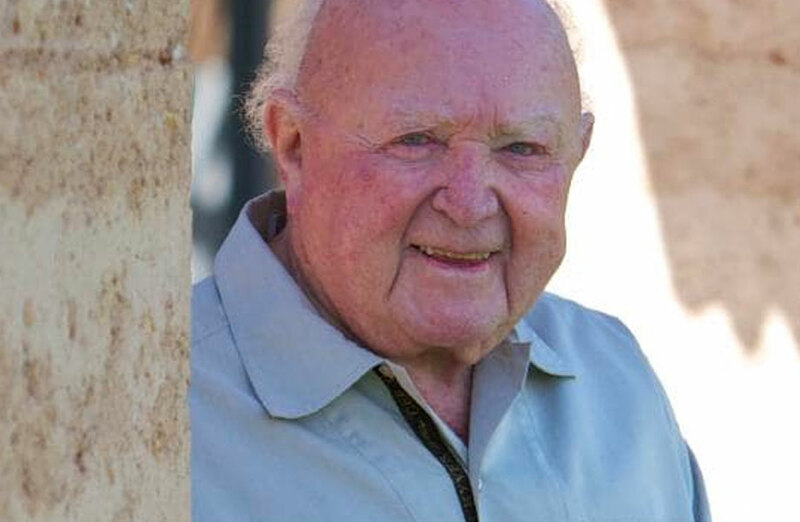 Lang Walker started his career with an earthmoving business. He now commands more than $2 billion worth of investment properties. 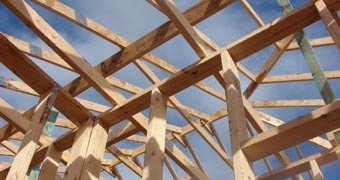 Walker Corp is currently constructing residential and commercial projects in Sydney and Brisbane. Walk Corp currently has $2.9 billion worth of investment property on its balance sheet, about $1.9 billion of which is completed projects as well as a pipeline of $25 billion worth of property projects expected over the next 15 years. Maurice Alter’s business, Pacific Group, owns a large portion of malls mostly in Melbourne and Adelaide and co-owns the Coles Group headquarters in Melbourne. Alter’s wealth has been given a considerable boost in recent years with the sales of 50 per cent of the Werribee Plaza Shopping Centre in Melbourne for $651 million to QIC Global Real Estate in 2018 and 50 per cent of the Pacific Epping Shopping Centre for $373 million. Bensen and brother-in-law and fellow rich-lister John Gandel built women’s fashion empire Sussan. The Besen family fortune was boosted last in 2017 when they offloaded a quarter stake in one of Australia’s largest malls, the Highpoint Shopping Centre in Melbourne’s west, for $680 million. Goodman Group, one of the biggest industrial property companies in the world, holds a strong portfolio of industrial and commercial assets. The Goodman family also has agriculture, residential property and technology investments. Farrell is head of the family business Federal Group, which controls tourism, hospitality, retail and gambling assets in Tasmania. The group’s assets include Wrest Point Casino in Hobart, the luxury Saffire Freycinet and Henry Jones Art Hotel, and a monopoly over poker machines in the island state. 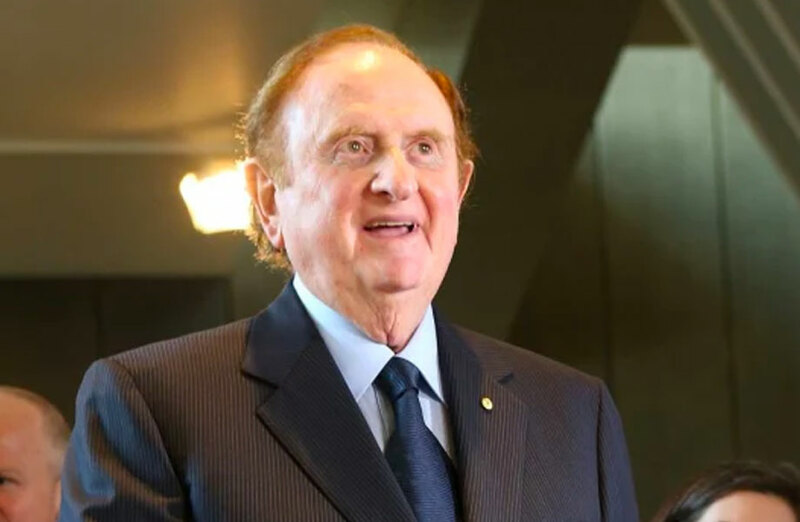 Ell established his property development business Leda Holdings in 1976 and has gone on to oversee projects worth billions of dollars in Queensland and NSW. Leda owns commercial and industrial properties in Sydney, and shopping centres in Queensland and the ACT, and has big land holdings. 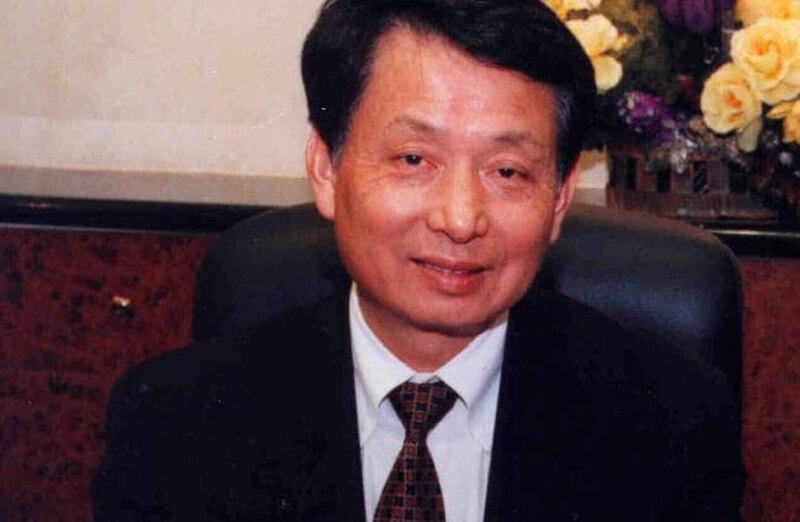 Fu still presides over one of the biggest privately held retail portfolios in the country. YFG’s assets include the $271 million Australia Fair on the Gold Coast and the $250 million Brookside Shopping Centre in Brisbane’s north. “fast-track the delivery of projects in the town centre” such as the widening of Epping Bridge, removing all demountables from Epping West Public and the delivery of a new primary school. Put the Libs last before ‘others have it all’ … with Sydney Shanghai’d! Epping has hit a “crisis point” as overdevelopment, traffic congestion and thousands of job losses take a massive toll on the community. Residents say they are stuck in a “living nightmare” amid the surge of new unit blocks in their once-sleepy neighbourhoods. Long-time Liberal Party supporter Llew Kennedy says the development drive, clogged roads and tree massacre in Epping are enough for her to change her vote at the state election on Saturday. “This overdevelopment in Epping is just wrong; I can’t support the Liberals anymore,” the Rosebank Avenue resident said. A truck takes away a massive tree trunk in Epping during construction of new town-centre development. The 58-year-old widow’s street sums up the planning mess in Epping, where medium-density housing is overtaking traditionally quiet neighbourhoods. “We’ve gone from a safe, secure environment to the complete opposite,” she said. In a special report by the Northern District Times, the suburb’s peak community group claims that the broader infrastructure planning for Epping was never properly considered by the Berejiklian Government. “It has opened up Epping to more development and a population increase — and that’s all that’s happened,” said Janet McGarry, president of Epping Civic Trust. “Epping used to have 10,000 people work in the suburb. It’s around 1000 now after Westpac and other big companies moved out, making way for thousands of extra units. “We’re created a situation now where everyone’s going to be travelling to Macquarie Park for work, but there are massive (transport) pressure points being created by this. Treasurer Dominic Perrottet, the Liberal candidate for Epping, conceded the suburb’s growth had been “more rapid than council or the State Government had anticipated”. “And that’s brought frustration and disruption. I am a local — I get it,” said Mr Perrottet, who is running in his third seat in as many state elections. It’s estimated that the future Epping town centre will deliver an increase in housing capacity of 3750 new dwellings. 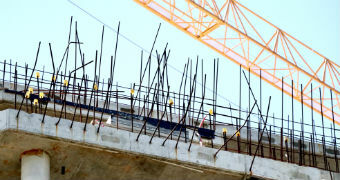 The suburb is expected to have an additional 10,000 residents over the next decade, with the population to hit 34,600. Developer Bruce Lyon said this was the most important time in the life of Epping. Award-winning social researcher Mark McCrindle said residents faced a “steep adjustment curve” in the changing face of Epping. “The northwest of Sydney is used to the gardens and green spaces — and now we’re getting massive density, particularly around train stations. This will take people some time to get accustomed to,” he said. The hammers and horns sound in unison at a string of nearby building sites. It’s midmorning at Llew Kennedy’s once-sleepy street in Epping. If you look to the right from her Rosebank Avenue house, built in the early 1930s, you can see leafy surrounds near two heritage-listed homes. It appears to be quite tranquil, even though the street is clogged with cars. But a glance to the left, towards Cliff Road, and it’s a hive of construction activity and chaos as her fence line, in what’s always been a low-density area, borders a surge in medium-density developments. Welcome to the world of residents’ lives in this area of northwest Sydney, where a plethora of medium and high-density apartment blocks are being built in traditionally quiet neighbourhoods. *Residents claim that from dawn till after dusk (past permitted building times), the streets are filled with noise and dust. For Mrs Kennedy, it’s a “living nightmare” — and enough for the long-time Liberal Party supporter to change her vote at the state election on March 23. “This overdevelopment in Epping is just wrong,” said the 58-year-old mother of two, who moved to Rosebank Avenue with her late husband in 1986. “I don’t feel safe … and you can’t do all the things you used to do with all this construction going on. “I’m not angry at the workers; they are just doing their job. But it’s the planning system — the State Government — that has allowed it to happen through all the rezoning since the Liberals took over. She claimed the State Government’s planning framework was crushing “a sense of community” in the development push, which went into overdrive at Epping when it was mostly under the control of Hornsby Council, before the amalgamation overhauls in 2016. *Between January 1, 2014 and May 12, 2016, there were 27 approvals for developments of five storeys and above in Epping. And while Hornsby Council blames the State Government’s former Joint Regional Planning Panel — now Sydney North Planning Panel — for approving most of these DAs, it had earlier given a nod to many of them. “The problem’s been that, whether it was at a council or ministerial level, no one was coming out here to see what they were signing off on,” Mrs Kennedy. “They weren’t listening to the residents — and seeing for themselves the impacts of all these new units in our quiet area. “I’d love all the politicians and planners who are making the decisions to come out here and experience all this noise and dust for a week. Let’s see how they like it. Bruce Lyon is one of the most influential people in Epping. The pioneer property developer, who has lived in the area for six decades, owns a whopping 7000sq m of land at key sites in the town centre. He says this is the most important time in the life of Epping. “I feel strongly that if we don’t get the planning right for Epping the first time, it’s too late,” the Lyon Group founder said. 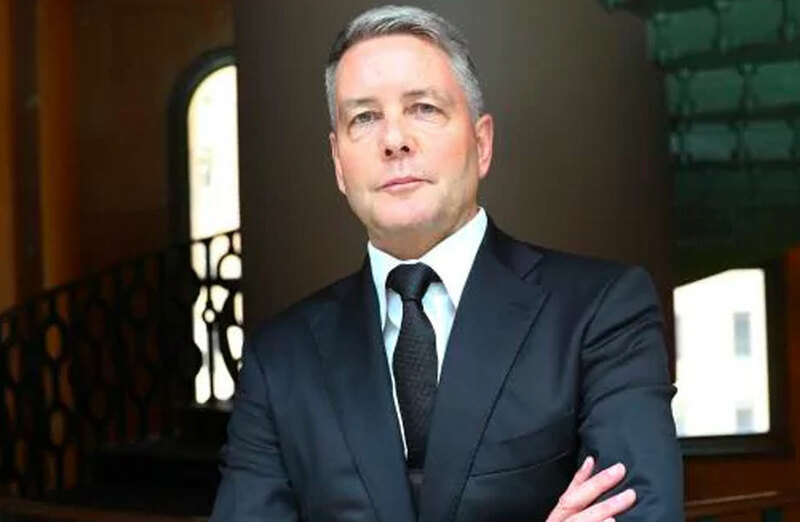 Lyon Group Australia managing director Bruce Lyon. He believes taller mixed-use buildings — “with plenty of open space around them” — should be the template for town-centre developments. It’s estimated that the future Epping town centre will deliver an increase in housing capacity of 3750 new dwellings. *“It’s been my strategy that we should be looking at 40 floors in this area — but having reasonable distances between the buildings,” Mr Lyon said. “But along Carlingford and Cliff roads, instead of five storeys, they would have been better to go up to 10 floors and put more distance between the buildings, so you can create a ‘play environment’ within the extra development, instead of a heap of buildings in a row. Mr Lyon plans to build two towers in the centre of Epping with a plaza that would allow people to walk between the railway station and Boronia Park. High hopes: An artist impression of the Lyon Group proposal for Epping. The two towers, of 38 and 43 storeys, would be built at Beecroft Rd, opposite the station, and include about 700 residential units and shops on the lower floors. The Epping Hotel, part of the site, would be demolished and replaced by a two-storey establishment. One of the major developments under construction in the town centre is Cbus Property’s The Langston, near the library. It will include three towers of 19, 25 and 29 storeys, containing 463 apartments and a mixed-use precinct with retail space. “Mixed-use developments, where we get residential and retail together, are the way to go,” Mr Lyon said. “We need to be encouraging more restaurants and vibrant outdoor entertainment venues to get a better social life for Epping residents. Dominic Perrottet concedes Epping has grown at a faster rate than his government had anticipated. The Treasurer, the Liberal candidate for Epping, said he “understood” the overdevelopment concerns by residents. “Growth has been more rapid than council or the State Government had anticipated, and that’s brought frustration and disruption. I am a local — I get it,” Mr Perrottet said. Treasurer Dominic Perrottet inspects the Metro Northwest works. It is set to open in May and improve train travel for Epping residents. *When asked why the government had allowed the development explosion in Epping, he pinned the blame largely on Hornsby and Parramatta councils. Epping was in Hornsby Council’s LGA until May 2016, when the Baird Government announced its merger process and boundary changes. (CAAN: At the behest of the developer lobby planning law changes were made by the NSW LNP beginning with the Green Paper in July 2012; planning powers were taken away from local Councils, and Councils were notified of development targets by NSW INC aka NSW LNP Government. 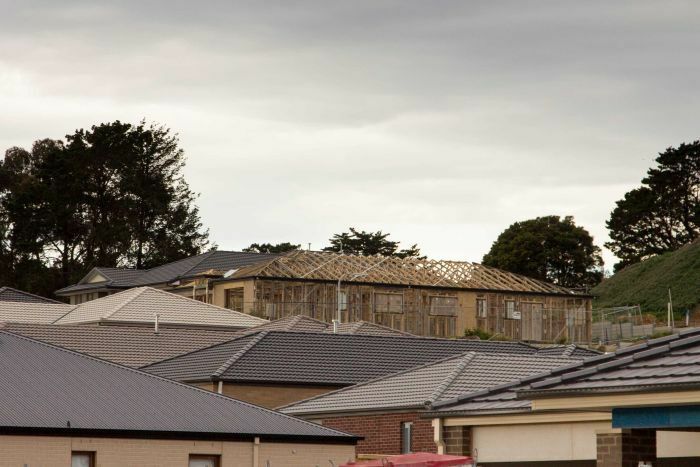 The State Government last year introduced Independent Hearing and Assessment Panels (IHAPs) to make determinations on any development application worth between $5 million and $30 million. “The large majority of planning rests with local councils,” he said. “Councils are still the decision-maker for all DAs under $5 million. The father of five will be running in his third seat in as many state elections, after previously being elected as the MP in the seats of Castle Hill (2011) and Hawkesbury (2015). The Times quizzed Mr Perrottet on why should Epping voters be confident he understands the important local issues. “The Epping electorate is where I have lived for most of my life and where my wife Helen and I have chosen to raise our family,” he said. 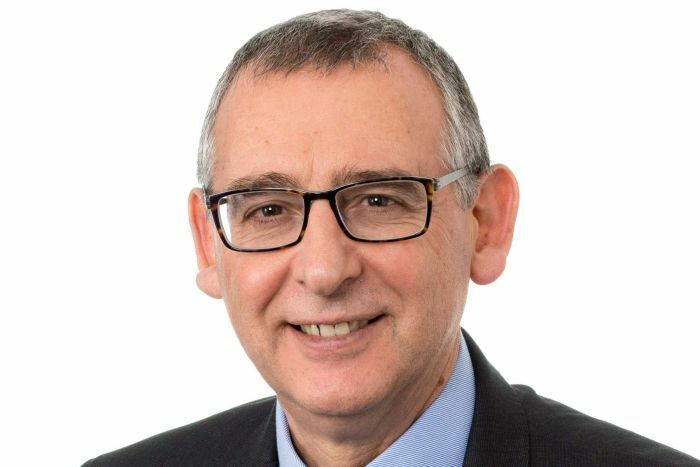 He said his main priorities for Epping, if elected on Saturday, would be to “fast-track the delivery of projects in the town centre” such as the widening of Epping Bridge, removing all demountables from Epping West Public and the delivery of a new primary school. 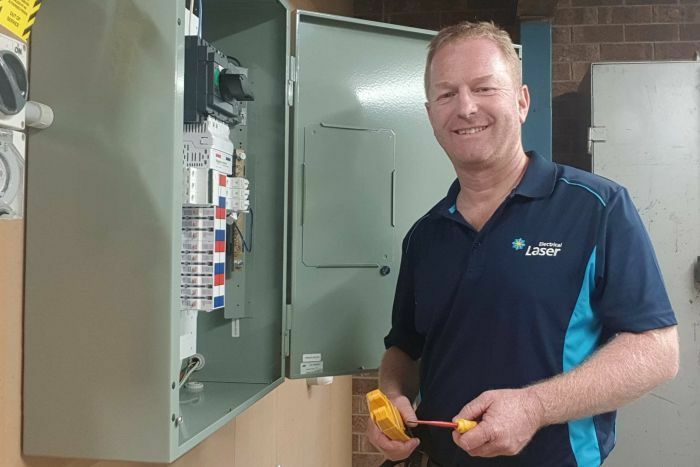 “I’ll make sure development in Epping meets our community’s expectations, supported by the right infrastructure, so there’s less pressure on our community,” Mr Perrottet said. *Labor’s candidate for Epping, Alan Mascarenhas, said that under the Coalition Government, Epping town centre had become “dilapidated” and “dysfunctional”. “Residents are completely fed up. Many are moving out,” he claimed. “It can be 30 minutes to drive from one side of the station to the other. You’re taking your life in your hands just trying to get to Coles. Alan Mascarenhas, the state Labor candidate for Epping. “The Station Link buses and three more massive towers going up at Langston Place are the final straw. “As the MP, I’ll be listening, sleeves rolled up, and working with the community to fix the problems and restore pride. Veteran Parramatta councillor Lorraine Wearne says the State Government has “never done enough to properly manage Epping”. “All they did was drop these new planning instruments in that allowed developers to do what they like in the area,” the independent Epping ward councillor said. “The community was never consulted and there was no individual work on suburbs across Sydney, including Epping, before these priority precincts were created. “The government has just seen Epping as a development opportunity — and a dormitory around a train station. Cr Wearne said Parramatta Council had “very little opportunity to get it right” after the government’s planning policies had “got it so wrong”. She said council was working hard to “save” Epping from rampant overdevelopment and daily traffic congestion. “I’m hopeful that our council is doing enough to stop all the destruction of neighbourhoods that went on along Carlingford and Cliff roads, and to get better outcomes on the other side of the train line,” she said. “The RMS (Roads and Maritime Service) has a lot to answer for in terms of how poorly they’ve managed traffic access points in Epping. “And there is a sad lack of community space, and places for the community to do things. And that’s why the council has bought the Masonic centre. 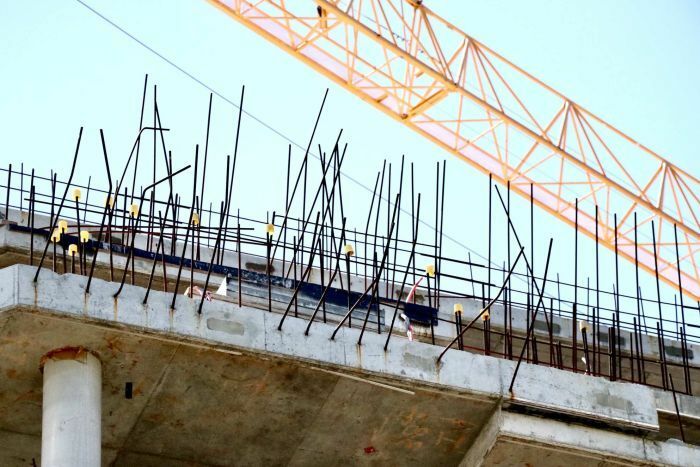 Approvals data shows both Hornsby and Parramatta councils, along with the State Government, have had a hand in driving up the number of dwellings in Epping. A total of 45 development applications have been approved in Epping town centre by the State Government-appointed Parramatta Local Planning Panel and the Sydney Central Planning Panel since planning controls were changed in 2014. Parramatta Council has approved 15 DAs for buildings of at least five storeys in Epping since amalgamation in May 2016. Hornsby Council signed off on 27 DAs for the equivalent building size in Epping between January 1, 2014 and May 12, 2016. Parramatta Labor councillor Donna Davis said Epping had “reached its maximum for development”. Cr Davis at resident Llew Kennedy’s home in Epping last week. “The roads just cannot take any more traffic,” the Epping ward councillor said. “We can’t do anything with the DAs that have already been approved, but in the land harmonisation process we are looking at what we can actually do to try to stem the tide of development. *“The council has lost its teeth on planning. We can say no to a plan for spot rezoning, but then the applicant can go to the Department of Planning and seek their approval instead. This is the back door that the State Government has created for developers. Epping is now at a “crisis point” after “years of poor planning”, the suburb’s peak community group claims. Janet McGarry, president of Epping Civic Trust (which has 500 members), said the suburb was a “case study of what not to do around planning”. “The State Government has opened up Epping to more development and a population increase — and that’s all that’s happened. The broader planning hasn’t been considered around it,” she said. Ms McGarry said residents were calling for four key community projects to help revitalise Epping. She cited figures which showed the dramatic decline of workers in Epping. “Epping used to have 10,000 people work in the suburb. It gave the suburb a different feel and supported local businesses much better,” Ms McGarry said. “It’s around 1000 now after Westpac (800 jobs) and other big companies moved out, making way for thousands of extra units. The zoning now will never encourage these companies to come back. She said traffic congestion was another big problem in Epping. “Studies show 87 per cent of traffic is through-traffic in Epping — and we need to be looking at long-term projects, including the better use of the M2, to clear up congestion from Epping Bridge,” she said. “There needs to be a vision for Epping which incorporates both sides of the train line. A leading social researcher says growth in Sydney’s northwest has “overshot” the planning mark. However, he sees enormous benefits in the population increase as long-time residents face a “steep adjustment curve” in their day-to-day lives. Mark McCrindle, who works with large organisations to help them understand the external environment in which they operate, says “change cannot be stopped”. “It’s the future, particularly in a city like Sydney which is growing at a rate of more than 100,000 people a year,” he told the Times on Friday. “We have 2.6 people on average per household, so we’re talking about the need for about 40,000 new homes that are required each year just to keep up with demand. “Currently, 43 per cent of Sydneysiders live in apartments or townhouses — and this will increase to 50 per cent in the early 2030s. “But getting the mix right is very important. In Asia, you’ve had many generations used to living in vertical communities. We haven’t had that same clustering in our cities, so we’re on a steep adjustment curve. Population projections show that Sydney’s population will hit 5.7 million later this year. It’s estimated that figure will rise to 6.4 million people by 2036. Epping is expected to have an additional 10,000 residents over the next decade, with the population to hit 34,600. Mr McCrindle said Sydney’s northwest had the capacity to “soak up a lot of growth for now”. “But there will be impacts on lifestyle if the infrastructure upgrades are a bit slow,” he added. “Even though many residents are rusted on to their cars, we’re going to have to get used to catching the train. He said population growth was a positive, because “it creates major economic benefits, through new infrastructure and other investments”. “Sydney is a dynamic city; it’s changing and improving all the time,” Mr McCrindle said. QUESTION Who is benefitting from Visa Manipulation apart from the Visa Holders? The Big End of Town as we live with the consequences detailed in this article!